Build Your Base at home with this easy to follow online training program and nutrition plan. Build Your Base in the gym with this easy to follow online training program and nutrition plan. The Base Body Babes online training platform is a training experience like no other. This is virtual personal training at its best. We are with you every step of the way with our in depth exercise video tutorials, where we personally explain and demonstrate each exercise so you have the knowledge and confidence to perform each exercise in your program. Including a combination of strength and circuit style weights based workouts and nutrition plan, our program is suitable for all levels of fitness, from beginners to advanced. Our program can help you! WHAT IS A BASE BODY? A Base Body is one that is easy to maintain every day. It is made through a balanced lifestyle, using simple weight training methods and good nutrition. It is always our aim for ourselves and our babes to be as happy, healthy, fit, strong and confident as possible and most importantly maintain it for life. This program will guide you to do all of this and more. We are sisters who love lifting weights, eating good food and helping others change their lives for the better. We love educating people and sharing our knowledge and experience. Learn more about us here. Base your life with more than just training and nutrition. We talk mindset, wellbeing, fashion, beauty, travel and more. See what our team is talking about this week. 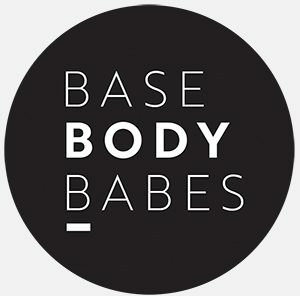 Base Body Babes training consists of combination of strength and circuit style training with weights. This online program has been designed by us and is suitable for beginners to advanced. We have trained thousands of women world wide. We aren’t just about the physical changes, we are here to help you look and feel fit, healthy and strong from the inside out. See what our babes have to say about us. Together with our Accredited Nutritionist Marika Day, we have created our nutrition program, including recipes, shopping lists and tips to help keep your body fuelled with healthy and delicious foods. Let’s talk food. For all things health, fitness and lifestyle related, check out our educational and inspirational blog. We have amazing contributors creating informative content to better help you. See what our team is talking about this week. Good quality nutrition is essential to fuel our bodies, aid recovery, promote good health and help us achieve our body composition goals. We don’t believe in restrictive diets, rather we focus on fuelling our bodies with the best possible foods so we can get the most back from our bodies. Together with our Accredited Practising Dietitian and Nutritionist Marika Day, we have created a nutrition program, recipes and strategies that will supplement your training program and keep your body fuelled with healthy and delicious foods. We are here to help you have a healthy and happy mind, body and soul. We want to help you gain the strength and confidence you need to be able to do everything you want in life.